The school will operate with a maximum number of students in the sixth form) of 300 and a maximum number of students in year 12 of 180. Students currently on roll at the school will have first call on all available places in the sixth form, (subject to meeting individual course entry criteria). If any of the 180 places in year 12 remain unfilled from students already on roll at the school then these will be offered to New Entrants to the school subject to a maximum of 50 New Entrants be admitted into year 12 in any single year. Applications from New Entrants will be judged according to set entry requirements for the course(s) of study requested by the applicant and these can be found in the annual School Sixth Form Prospectus. Those students who are unsuccessful in securing a place on a course due to over subscription will, where the total number of New Entrants is less than 50, be offered an alternative course where one is available. Students applying for AS level courses should make an application appropriate to their target grades. Students expecting to gain all GCSE results (not including BTEC Courses) at Grade B and above should apply for 5 courses. They should show a preference for the first 4 and state which other course is their reserve. Students expecting to gain GCSE results (not including BTEC Courses) at mainly Grade B and C should apply for 4 courses. They should show a preference for the first 3 and state which other course is their reserve. In order to start studying AS levels it would be beneficial to have 5 GCSEs at grade C or above. 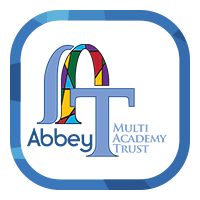 However, if you are uncertain about you suitability then feel free to contact Mrs A. Fuller. If you do not have a grade C in Maths and English, there is the opportunity to attend classes and re sit your exam whilst studying for your A’ Levels. Passes at Level 2 in vocational qualifications (BTECs) will be accepted as equivalent to GCSE, where appropriate, for entry to Applied A’ level courses. 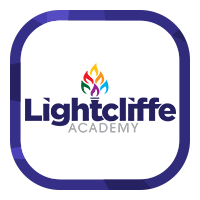 For any queries about applying for post 16 at Lightcliffe Academy please contact Mrs A. Fuller.